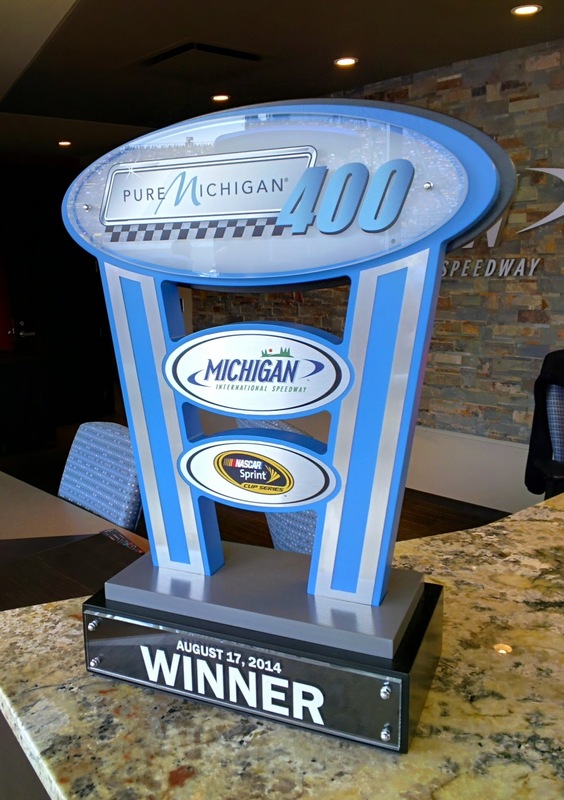 I had the privilege this past weekend of being a guest at the Pure Michigan 400 NASCAR race held at Michigan International Speedway. The track was interested in seeing what I could do with Google Glass as a fan, and I also kept thinking about what the track could do with the device if they owned one. As you can see from my Google Plus photo album of my day, there is no end of fun things to capture at a race track. I shot pictures and video of race cars and track facilities before and during the race. I used Glass to track rain on a radar app and I looked up information about drivers by Googling information without ever taking my phone from my pocket. Overall, Glass did very well with the photos and videos I was shooting, both indoor and out. Of course, as always, the super-wide angle of the camera lens means you can lose some details if you aren’t close to your subject. On the other hand, being able to take a photo in tight quarters is a nice feature, and wide-angle shots makes it ideal for some expansive locations. I suppose the answer would be for a digital zoom feature to be built into Glass’ camera. As one of the track employees noted when discussing this “shortfall,” though, Glass sees what you see, so the wide-angle view didn’t surprise them in the least. Because I had a special level of access to the facility, I was able to get to places that not everyone gets to go. This made me think of my trip with Glass in two ways: What could a fan do with them and what could an employee do with them. My access included the Media Center, which fans can’t get into but employees can, plus a Cold Garage pass, which gave me access to the garage area prior to the race. I also could get out on the track for the pre-race festivities. 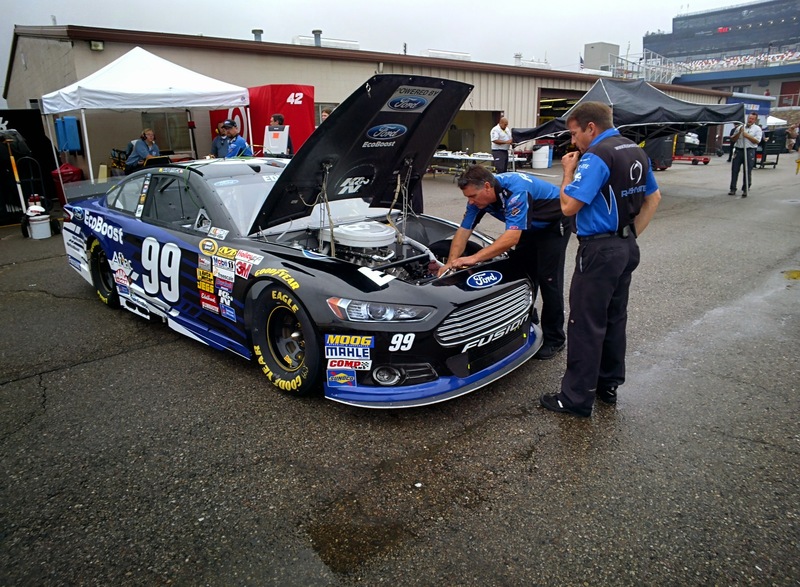 The Cold Garage and Pre-Race passes are available to a small number of fans and all employees. From a fan standpoint, besides the easy navigation, weather and Google access, Glass was a great way to capture photos and videos. I took a shot while driving to a parking area in the track infield, which means you have to cross the track. 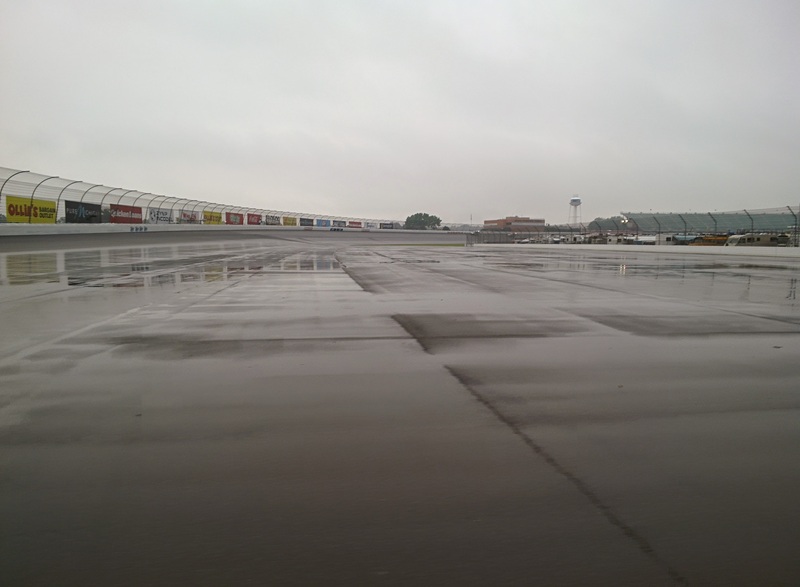 It was raining when we arrived so I wanted to capture a shot of the wet track. I glanced to the left while driving and shot a picture in a split second, hoping for the best. My wife commented later that it was better than the one she shot on her smartphone even though she had the advantage of being able to concentrate on taking the picture from the passenger seat. 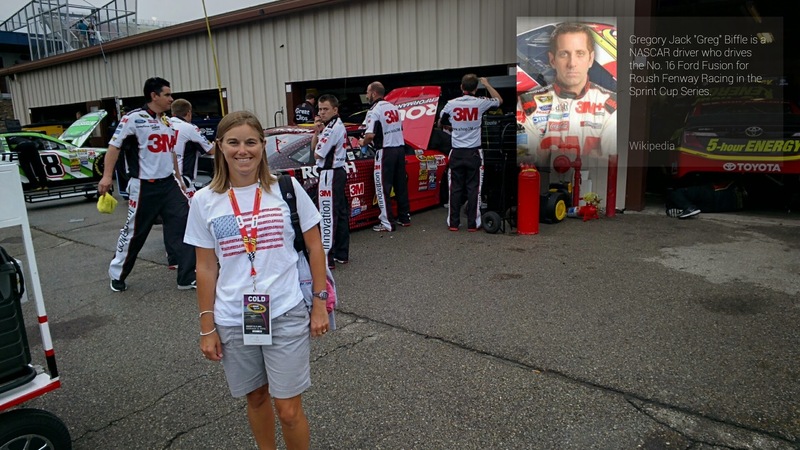 In the garage area, I shot pictures to share on social media as well as a few to capture some memories. I also did a few videos to capture the experience in ways a still photo can’t, particularly in an environment where the noise and commotion convey as much as the image. During the race, pictures and videos of the action were easy enough to do. The lag time on the picture being shot is very short. And the access I had to various areas of the track made for some good vantage points for pit stop videos. I still was a bit far from the finish line, so the pictures and videos of the actual race don’t have the zoom factor I would like, but they’re reasonably good overall. From a staff standpoint, I could see the track putting Glass to some phenomenal uses. As I wrote earlier, I had access to the Media Center, which means I could take pictures and video during the press conference with this year’s winner, Jeff Gordon. If I was an MIS employee, I would have been more comfortable sitting closer and making the most of Glass’ recording capabilities without feeling like I was an intrusive outsider. I did get a kick out of Gordon pointing at my Glass and saying, “Hey, cool!” when he walked by me on his way out of the Media Center. The track also could do a lot more “behind the scenes” type of work with Glass through pictures and video than I had the ability to. Imagine being able to see areas as a fan that we just can’t get to. There’s the stage where drivers are introduced to the fans, but what about a little of what goes on behind the wall before they are announced and come out? Pace car rides are always a big hit with fans, so what about a video showing what it’s like to go fast around the track — or maybe a trip around in one of the actual race cars to see what it’s like to go really fast? 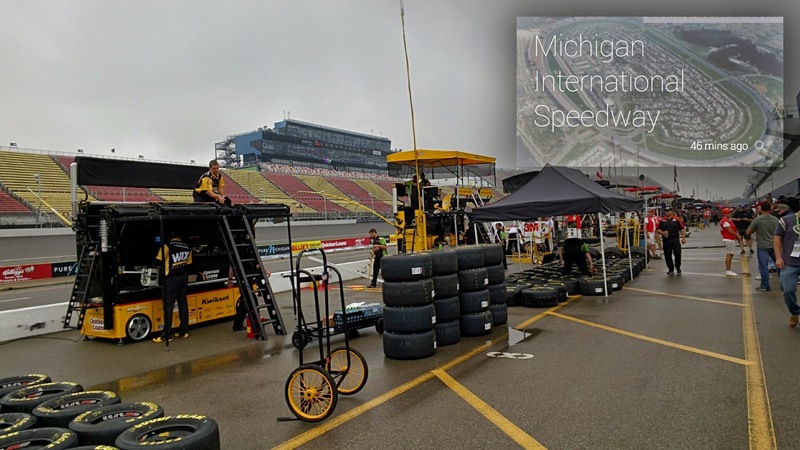 Roger Curtis, president of MIS, and his team have made a great commitment to putting fans first. At every race I’ve been to at the track, I’ve seen Roger out working the crowd — talking to fans, getting their comments, handing out special passes — anything to make them feel welcome and appreciated. You know he’s a good leader for the track when fans are often reaching out to him for an autograph, not just to the drivers. I think Roger wearing Glass during events, sharing pictures of fans and video of working rope lines, could be a big hit on social media. And then there are the drivers, the pit crew, the team managers and owners, and the many staff that make things happen at the track seamlessly — or at least make it seem that way. 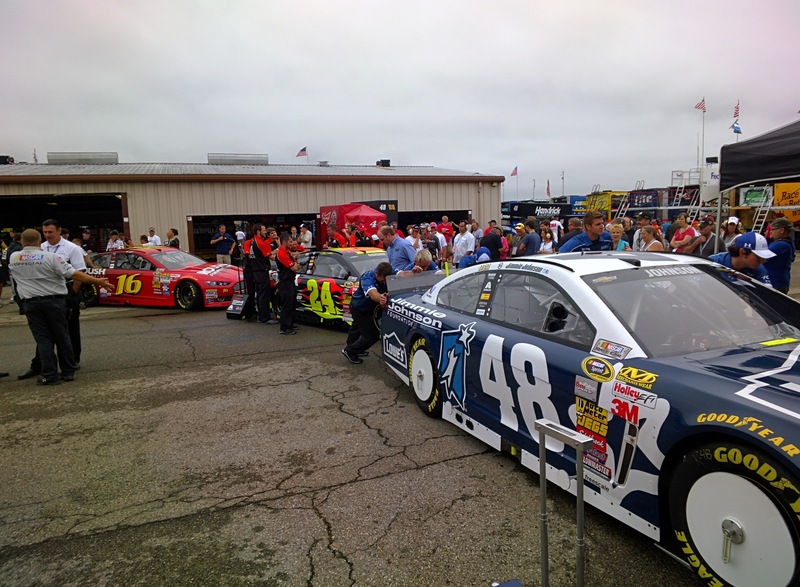 Letting them wear Glass and share a first-person perspective either through a live feed or through pictures and videos shared later could be one more way for the track to expand a fan’s experience. 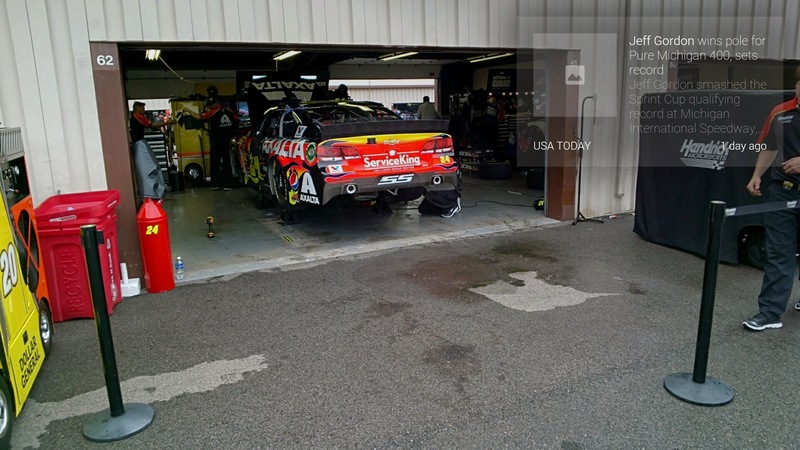 NASCAR fans and visitors to MIS are a committed bunch. They are, in many cases, the epitome of the word fan, which is derived from the word fanatic. And I say that with respect, not as a slight. I wish there were more events and venues where people really cared as deeply for their team as race fans care about their drivers. Who knows, maybe if Google Glass were available and put to good use at venues and for the right activities, more fans might find a connection to people and events they never knew they would like. There’s an old saying about walking a mile in someone else’s shoes. Imagine if you could do so virtually, thanks to the power of Google Glass. That’s something worthy of a trophy.